You are here: Home › Deep Thoughts › Equity Where Art Thou? ← 5, 4, 3, 2, 1….And We Are Off! 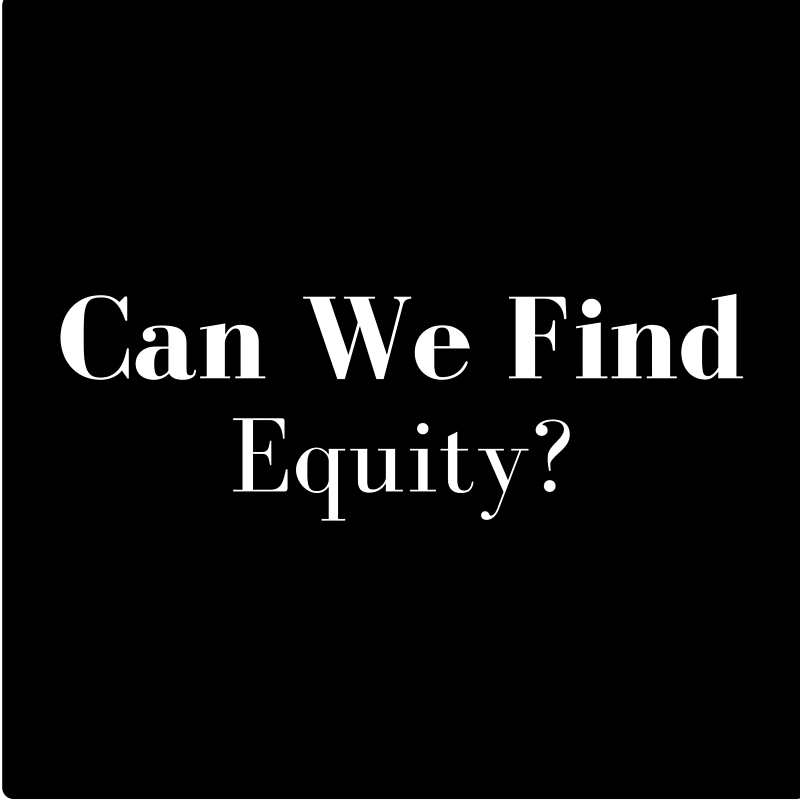 Equity is a big issue – what are we doing about it? Here is my concern – some of our legislative members are so darned focused on ESA/Vouchers, that they are missing out on a large percentage of our student population. I am not a fan of the voucher system, I believe with all of my insides that our public schools are amazing. Some schools struggle and that is why I write today. I recorded a podcast last week on this topic – find it here. What can we do to make sure that the schools in low socio-economic areas have the same opportunities that schools in the suburbs have? Look at the high performing schools in our state – what do they have that low performing schools do not? Several things come into play here, one of them is facilities and infrastructure. How can we establish equity here? How can we ensure that each school district in the state has the same opportunity? Before we go about changing the entire system to meet the needs of a few, can we try tweaking the system to a place where all schools have the same opportunities? Where equity is the normal not the unique? It is not equitable that my children are slowed down because of the lack of experience of others. It is not equitable for children who struggle to walk into a building that is missing strong teachers and in disrepair. We can change this! We must change this! Move the teacher pay scale up – $5,000 is a start. Treat us economically like the professionals we are. Several of us have advanced degrees – honor that. Then over the next few years, move the teacher pay scale up another $5,000. Ensure that each student in public school has a chromebook or an ipad. To work with these, each school should have classroom sets of the other available. Example – my son received a chromebook from his school, his school should also have a class set of ipads available as well. These will need to be updated periodically – as such we need to have a system of savings in place. Each school should have interactive whiteboards in every classroom and be wired for wifi. Each educator should have a laptop and a wireless tablet. Teachers need the freedom to prepare lessons wherever they are. Move away from paper in education. I know some things need to be printed, but what would the impact be if we had paperless classrooms? This is a lot easier to do if each person has an internet connected device. Provide incentives to pursue advanced degrees in education. If you want better teachers, then be willing to invest in them. Provide each teacher with a $2,000 professional development spending account. Administrators get $3,000. See point five above, if you want teachers to continually improve, be willing to support that. Money not used can go into the technology savings account for step 2. Give teachers a place at the table when crafting legislation. Truly seek our input. Let us dialogue with those who write policy. We would be willing to do this at not cost. This should get us going. If you want a robust educational system, one that everyone is proud of, these are some things to think about. How much is this investment? I don’t know – quite a bit. But don’t you think our students are worth it? 3 Responses to "Equity Where Art Thou?" Love this! Where do you get the money, equitable taxation. Phase out the incentives given to businesses that were used to lure them to this state in the first place. I gotta say I love the idea of PD allowances for teachers/admins. Now I’m not too optimistic this will happen in the near future as cutting $$$ for education seems all the rage. But I am a fan of the idea!